David Neat, author of Model-Making: Materials and Methods , has a blog going with all sorts of model making techniques. 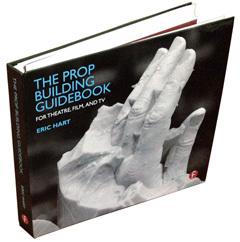 Posts on painting, mold-making, working in scale, and more are described and shown with ample photographs. I really like this illustrated chart of hand tools over at Popular Mechanics. The chart itself is good-looking enough to hang up in your shop, while the tools pictured on it give you a great idea of what your shop is missing. Smooth-On has a ton of great videos over at their website showing how to mold and cast with many of their materials. 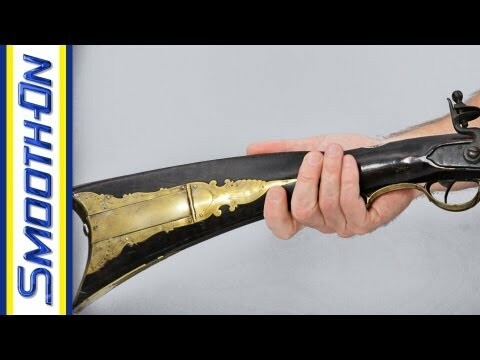 If you haven’t checked them out yet, start with one of their newer ones on how to make a mold for a replica of an antique rifle. If you ever wanted to take the time to make chain mail by hand (as opposed to just spray-painting some crocheted yarn), Make Projects has a great tutorial on just that. 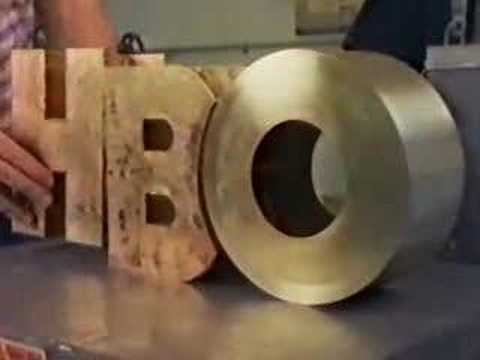 If you have ten minutes, you should check out this video showing the creation of HBO’s intro sequence from the early 1980s. The video is from 1983 as well, and has a great vintage feel. It is fascinating to see the creation of one of the largest scale model cityscapes at the time. Props people are sure to recognize many of the techniques used by these model makers (though the three-month time frame they had to build it seems luxurious for most of us). The creation of the rest of the effects are interesting as well. While this occurred in the heyday of motion-controlled cameras, those were the only systems using computers. Everything else was created by hand, and every effect was achieved with an analog solution. Model makers from Industrial Light and Magic gathered at this year’s Maker Faire and discussed their favorite tips, tricks and techniques for building models. Tested has the complete story, filled with lots of great photographs. There’s a ton of useful information here, as well as lots of good stories from the filming of the various Star Wars films. Speaking of Maker Faire, the Make Magazine blog had a writeup on the Alamance Makers Guild at this year’s Makers Faire NC. I’m a member of the AMG, and though I couldn’t be at the fair, this article shows off some of the work of my fellow members. Jay Surma has been documenting the build of a new sculpture of a Dungeons and Dragons character in great detail. In the seventh part, he tackles the mold making process. It’s a great look at a two-part matrix mold. If you’ve never seen a matrix mold being made (I don’t think I’ve ever seen one being made in person), check it out, because it’s a handy technique to keep in mind. Popular Woodworking has a whole article devoted to sweeping, with the wonderful title “To Sweep; to Sweep: Perchance to Clean“. It makes the good point that apprentices are often tasked with sweeping so they can get to know the shop and see what everyone is working on. DON’T think you cannot improve. Try to do better each day. 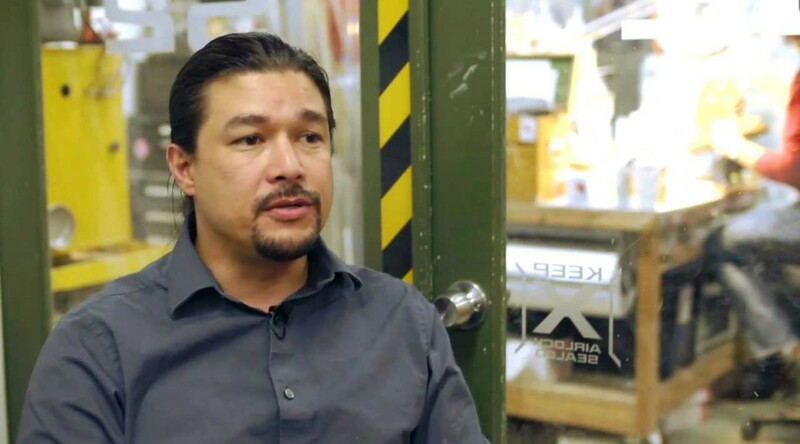 Fon Davis runs a company called FONCO Creative, which makes miniatures and models for film and television. He’s worked on some lesser-known films such as Matrix, Star Wars Episodes I-III, and The Nightmare Before Christmas. Make: Believe visits his studio and posts some photographs and this video below. It is great to see a fairly young and high-tech company still embracing the use of models and miniatures. You should see this “Death Row” router table; so-named because it was found in a prison woodworking shop where tools often need to be, um, improvised. New York Magazine has this snarky look at how terrible the newspaper was in Back to the Future. Slate Magazine than has a rebuttal, calling the critique very funny, but very wrong. Both articles are highly entertaining; you might remember them the next time you need to make a fake newspaper prop. Here is an interesting Instructable for making your own machinable wax. Machinable wax is a wax which will not melt or deform from the friction of a high-speed rotary cutter; it is useful for trying out a part on a CNC machine before you waste your real material (and it can be machined faster and without wearing down your tools). The following is a continuation of a newspaper article about the property shop of E. L. Morse on Twenty-ninth Street in New York City. The article first appeared in The New York Times on May 8, 1904, and Mr. Morse’s property shop is long gone. I have previously posted the introduction, a bit on Morse’s career, a story of a fake fish he built and a run down of all the skills a prop maker must possess. On the table of the shop is a country kitchen, not over a foot wide and a foot high. Yet in it is every piece of rude furniture which was to be put in the large kitchen on the stage. Not only in general appearance is the model perfect, but in all the smallest details. The kitchen table even has a top that folds back—it is hardly 2 inches long—just like tables which Mr. Morse says are found in obscure farmhouses in New England. The chairs, mantelpieces, window frames—all are exact. The whole thing was whittled out with a knife by the master of the shop himself. “Why, that would make a wonderful toy for some child,” suggests the visitor. All around the room, on boxes and chairs, sit vases to be used in a musical comedy. They are modeled after some rare foreign pottery. The look of them is so frail that you forget they are not breakable, and tread gingerly in and out among the confusion of obstacles. This amuses the master of the shop. “Oh, you can’t hurt these things,” he says. To prove it he playfully cuffs one of the vases off the box and across the room. It falls and bounces up and down like a rubber ball. There is not even a dent, for it’s only papier maché, and you could play football with it half an hour without hurting it. This article first appeared in the New York Times, May 8, 1904.